My favourite studio...The Great Outdoors! 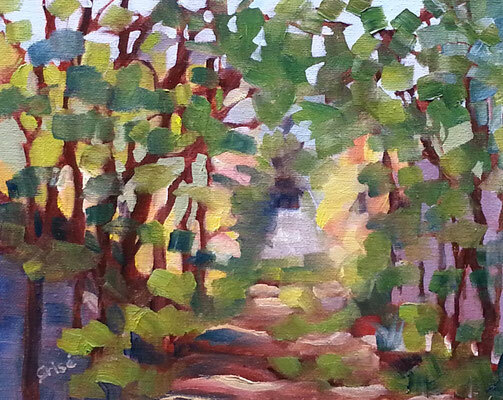 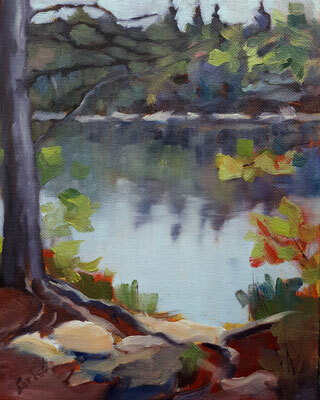 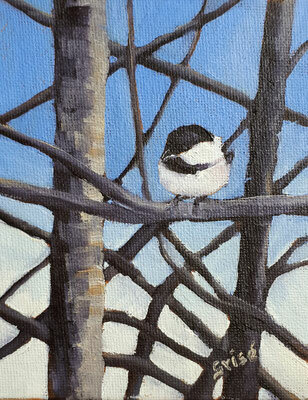 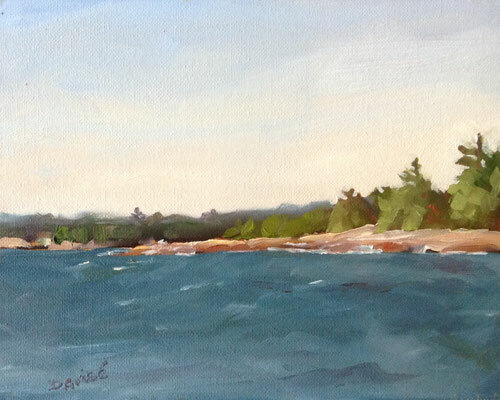 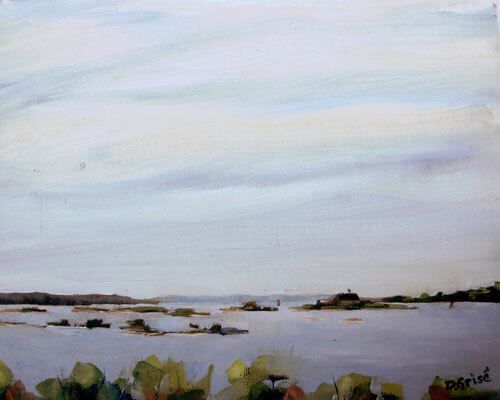 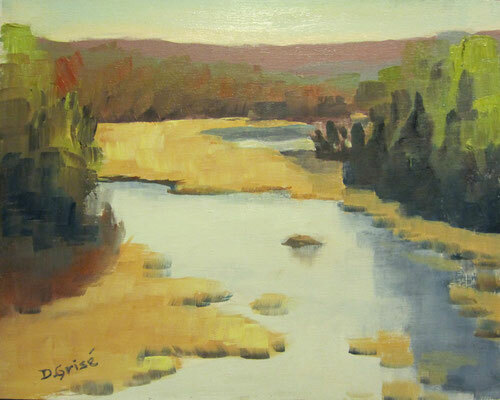 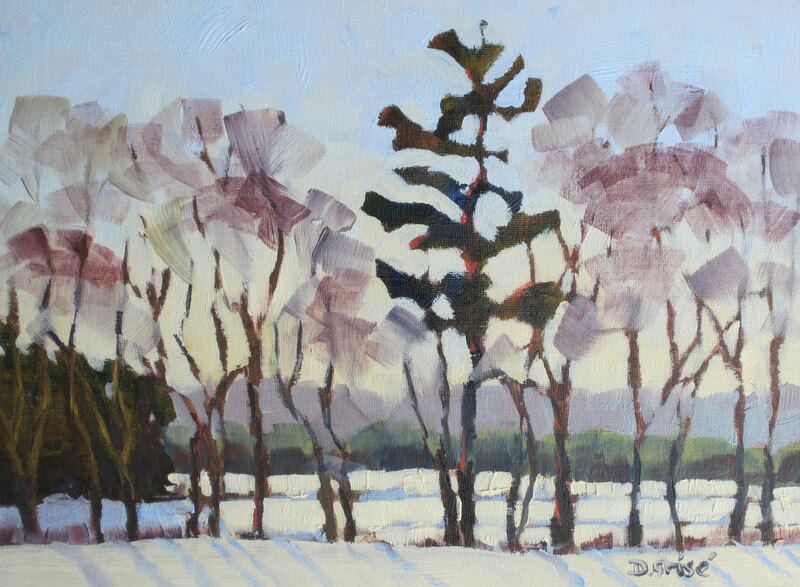 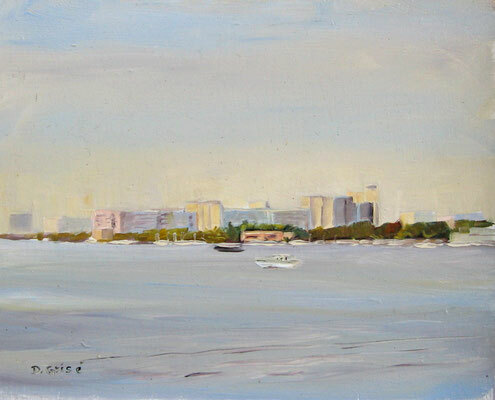 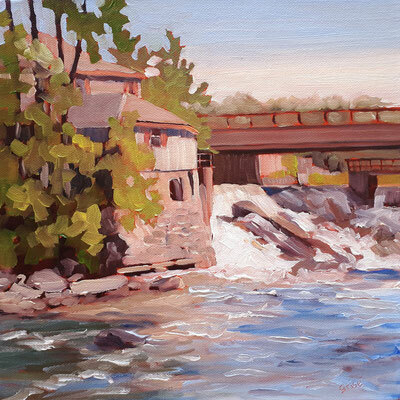 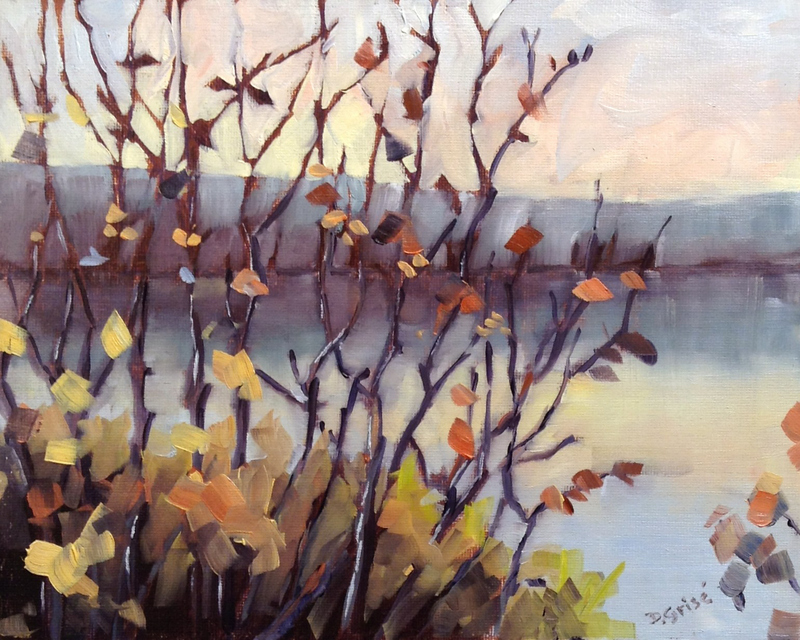 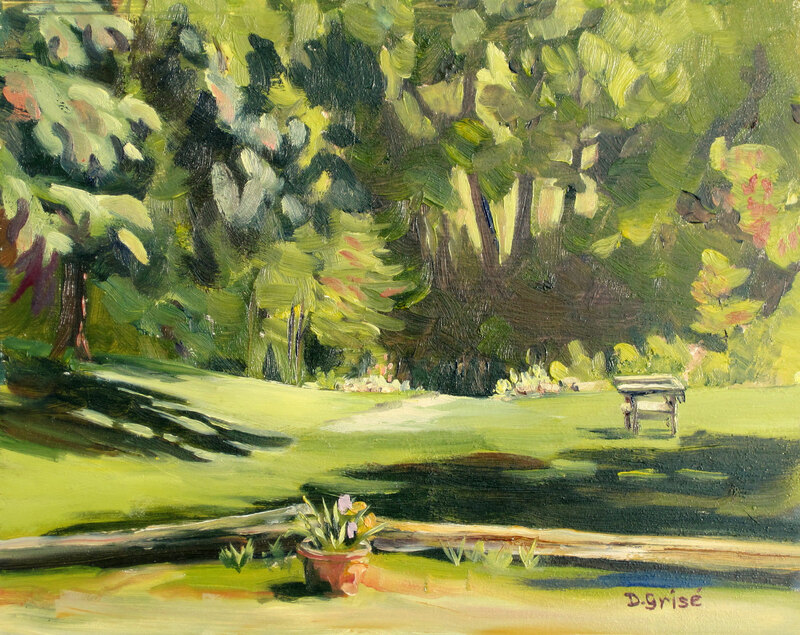 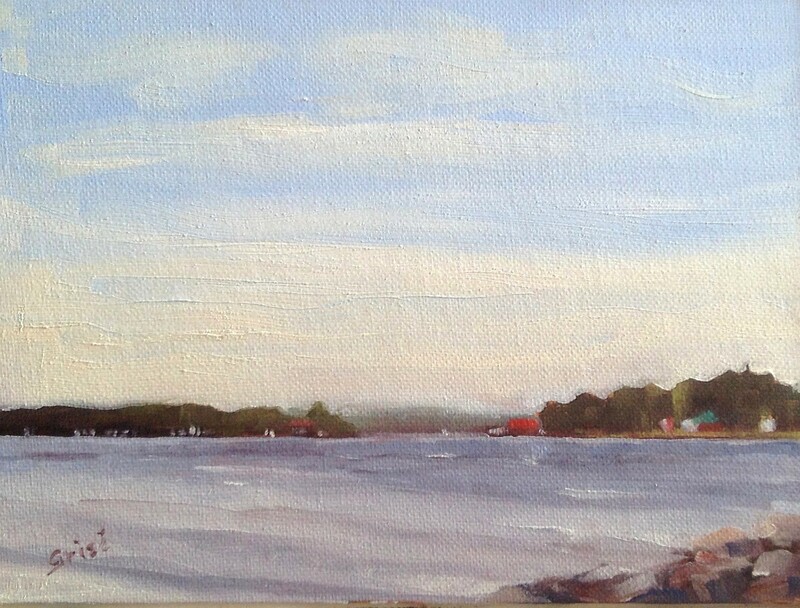 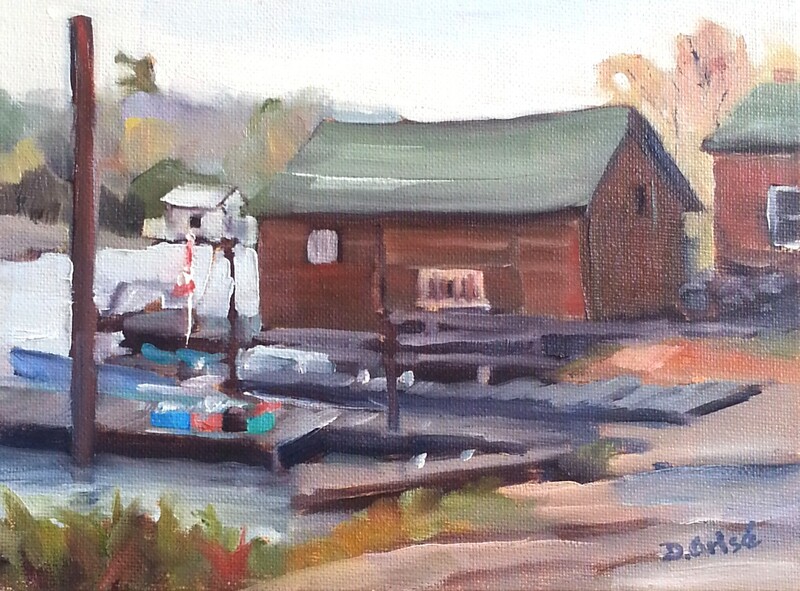 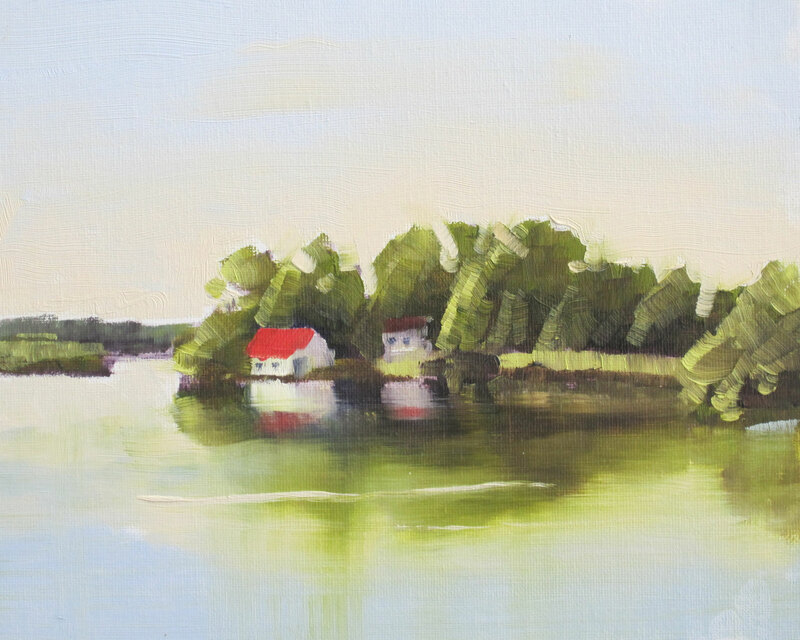 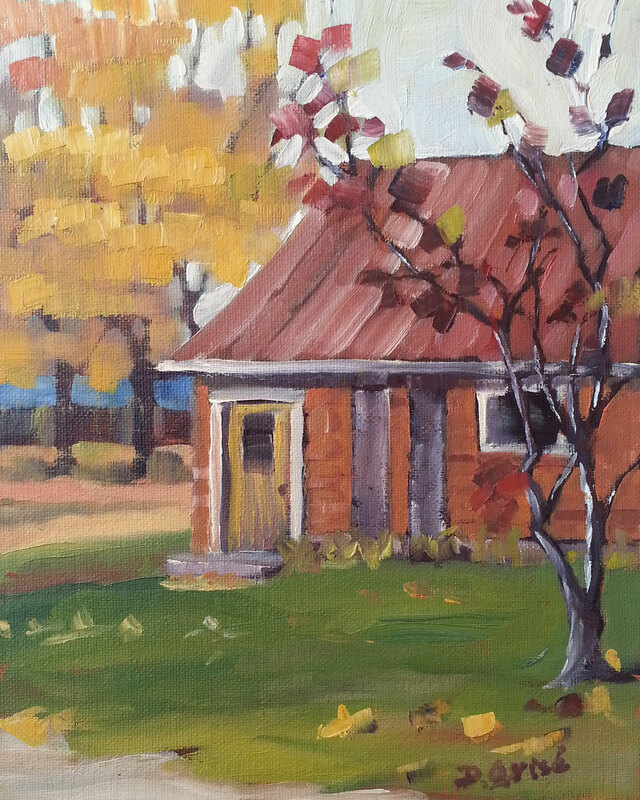 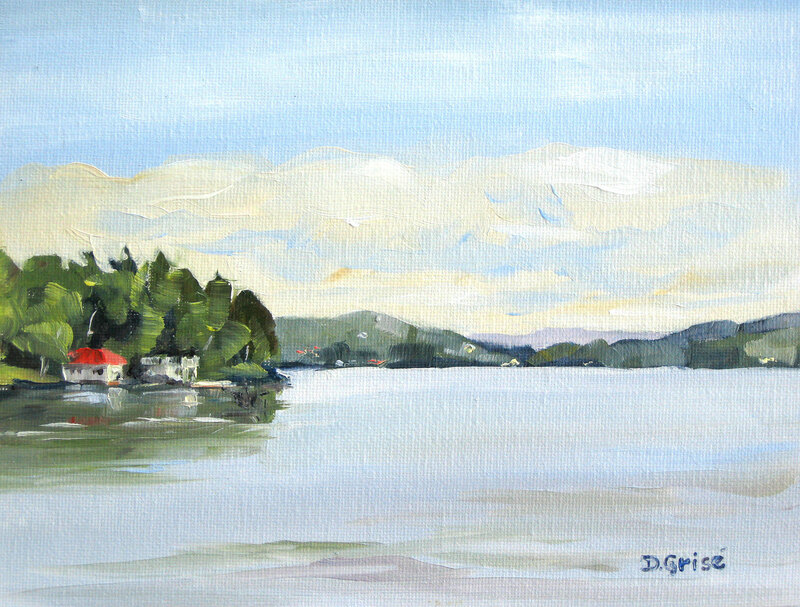 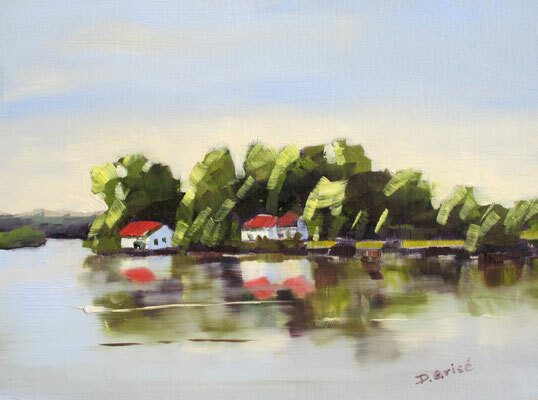 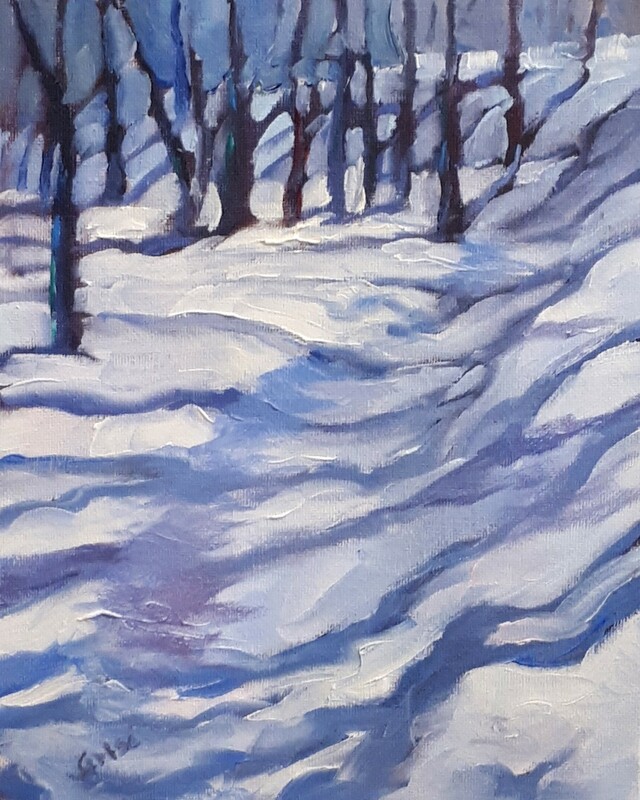 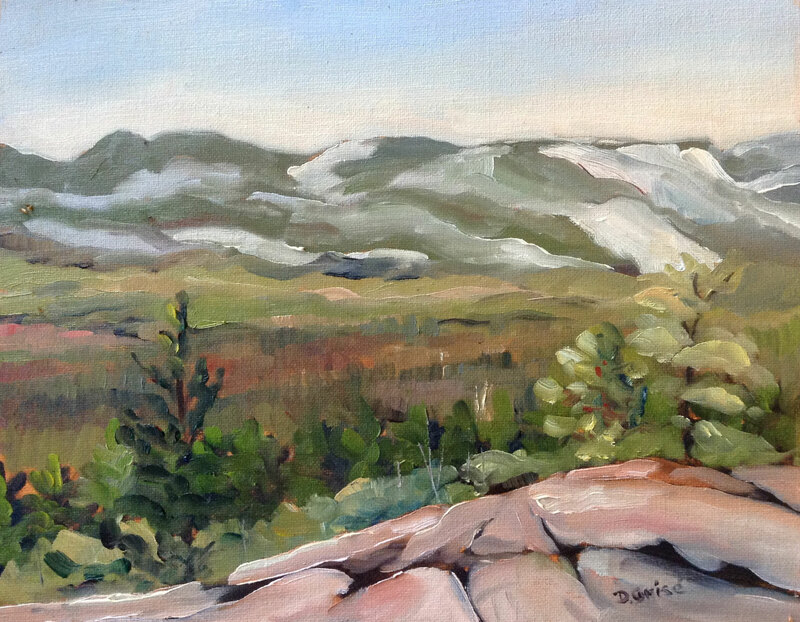 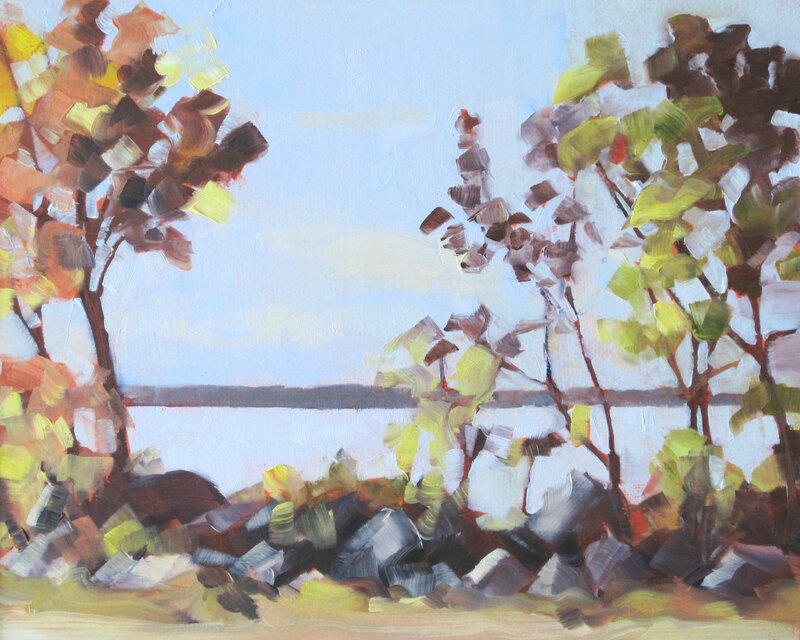 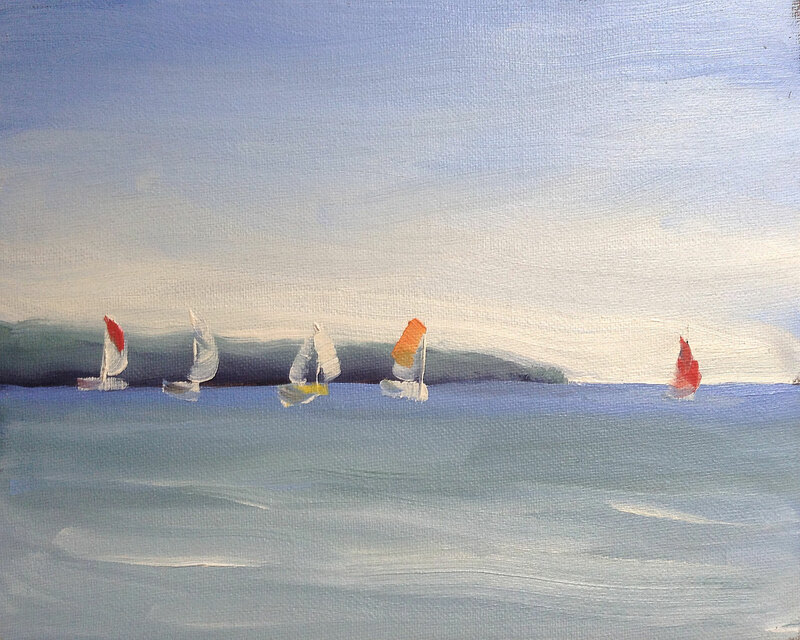 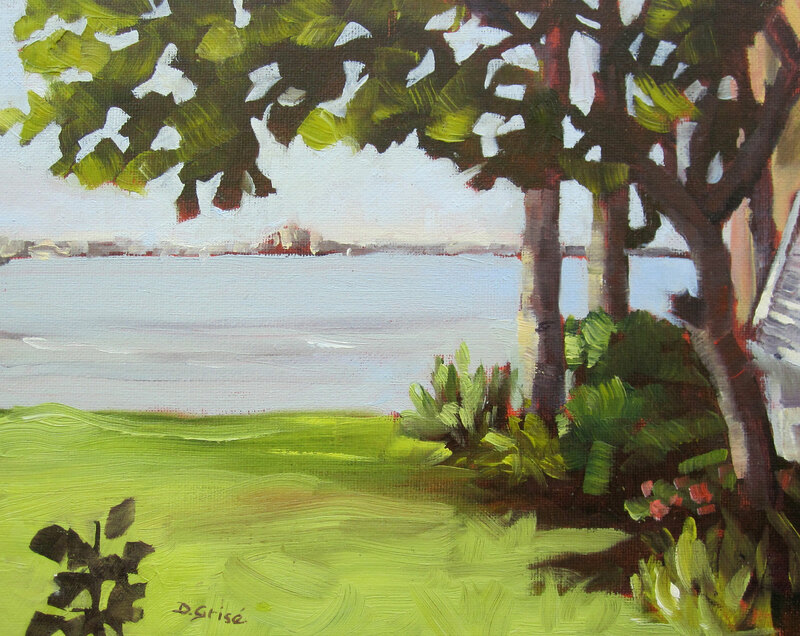 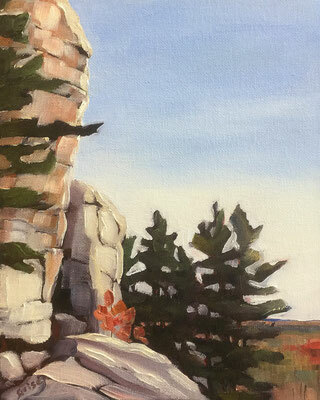 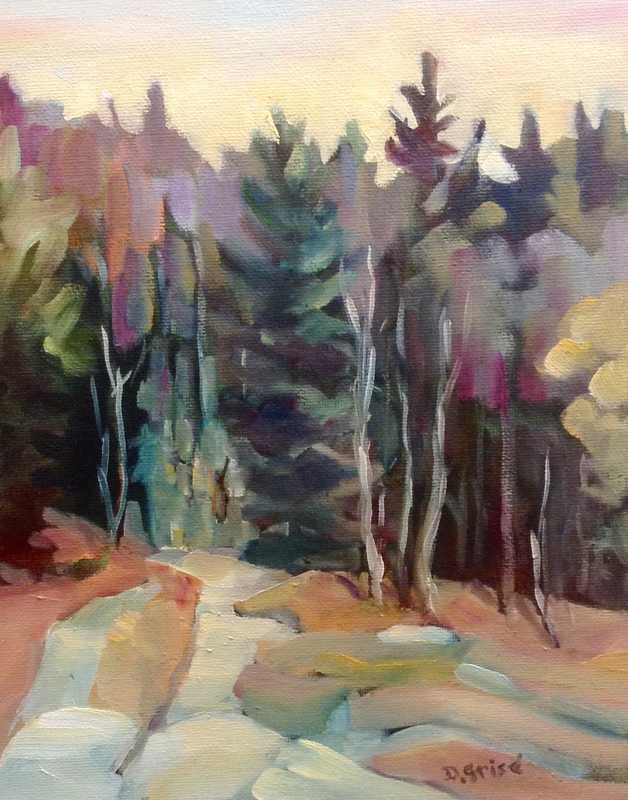 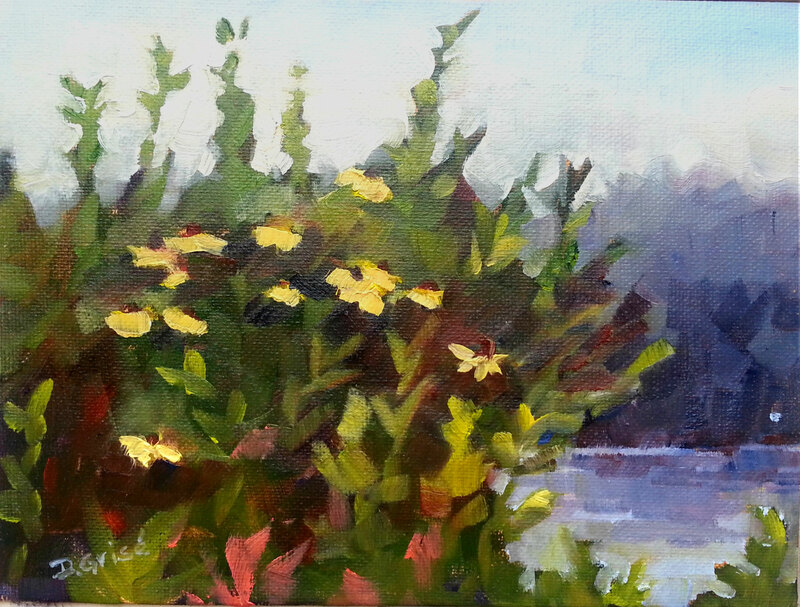 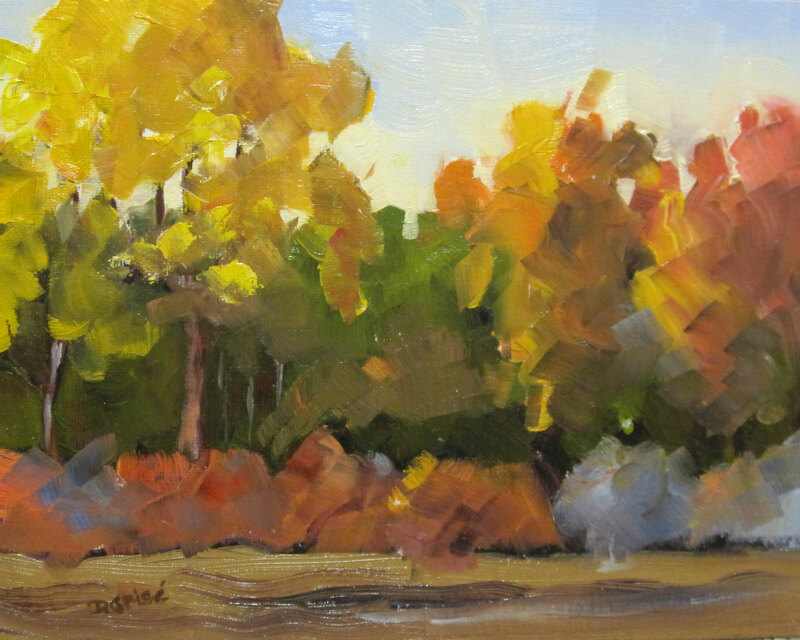 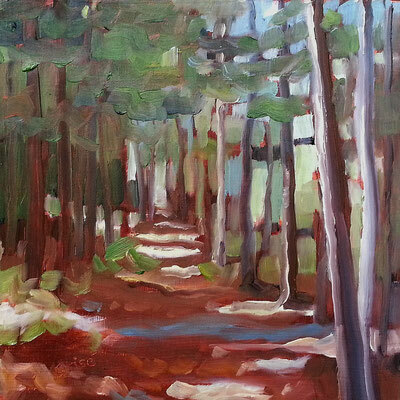 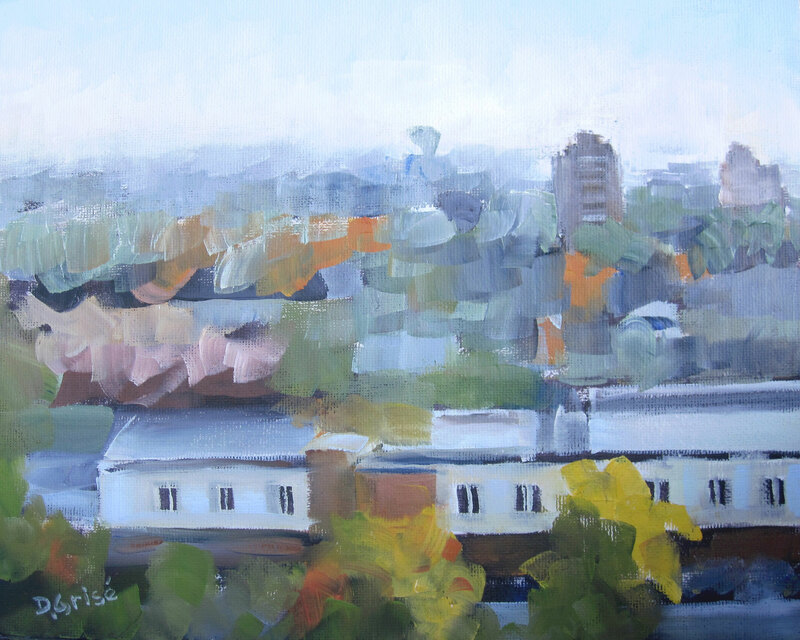 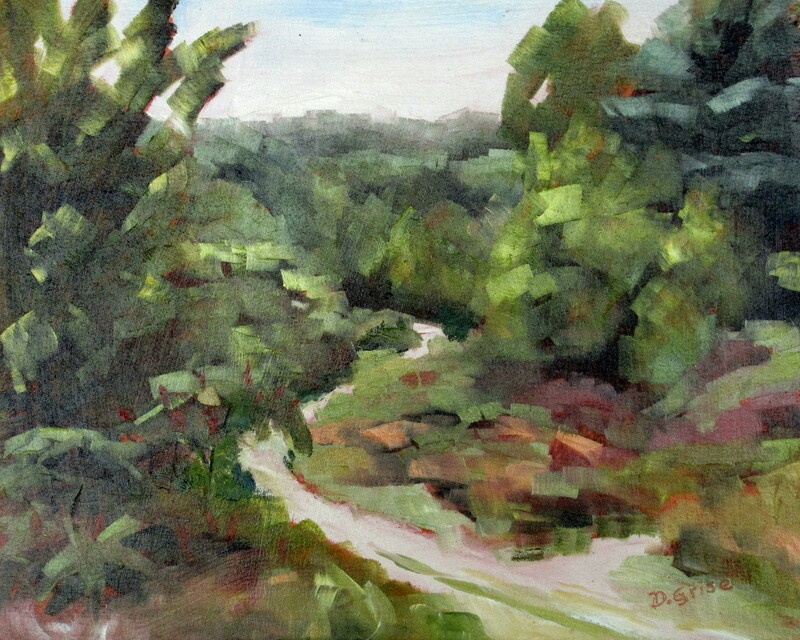 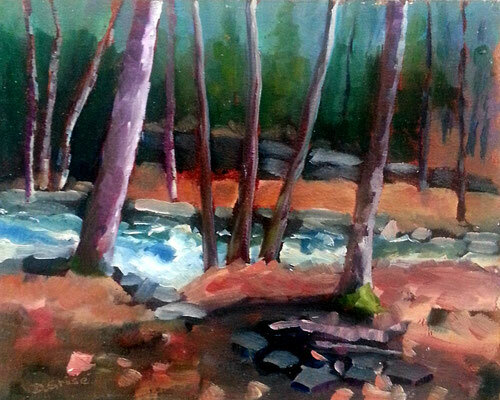 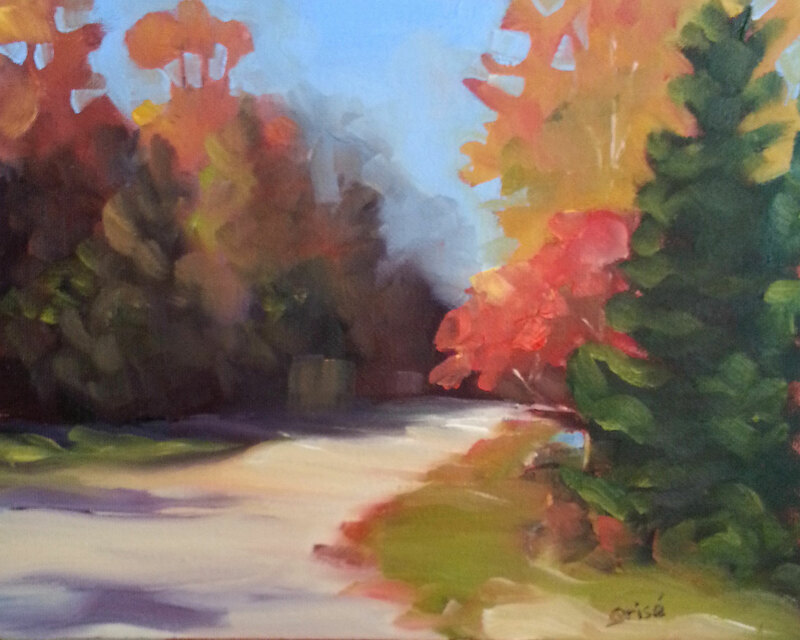 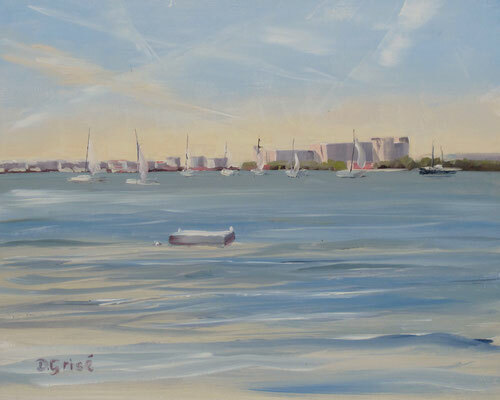 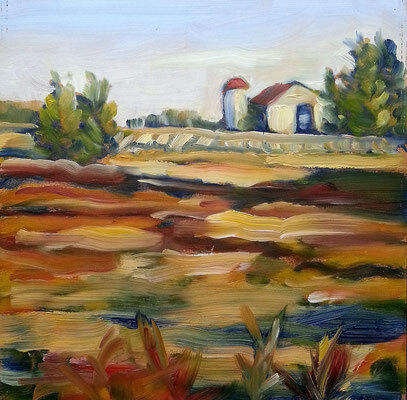 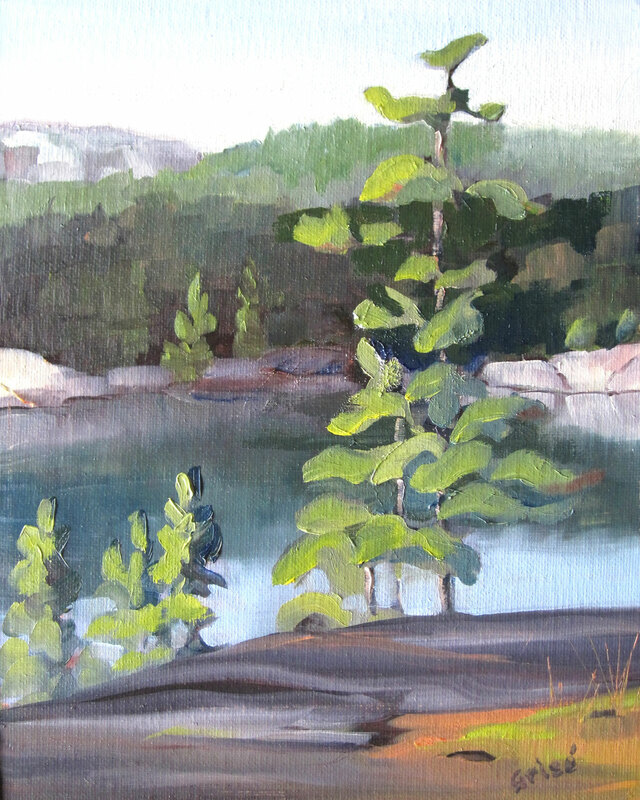 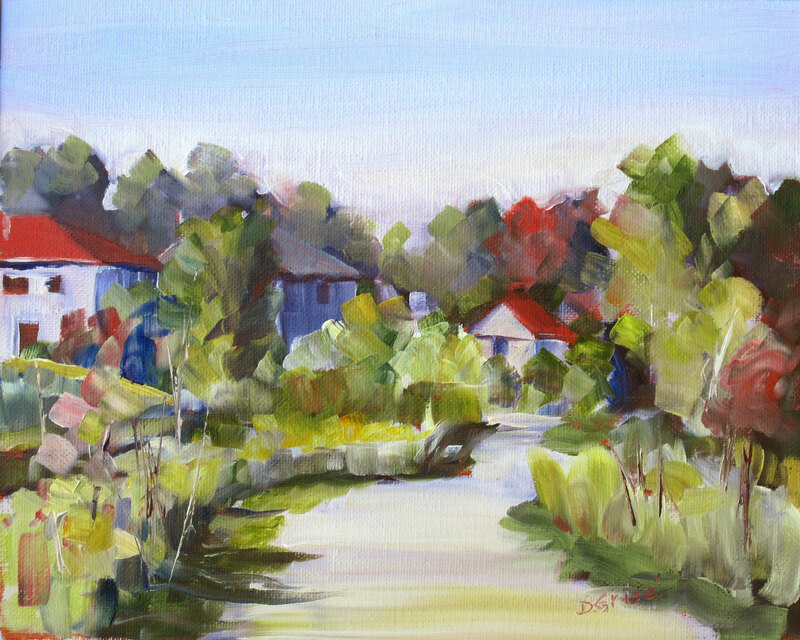 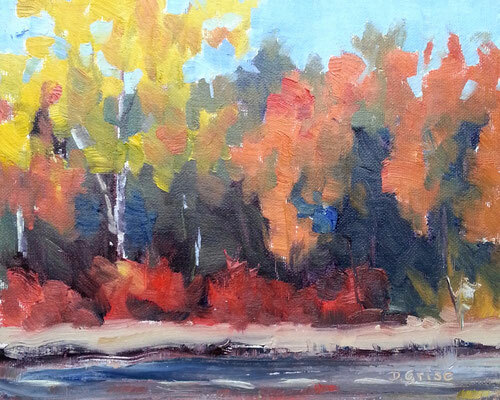 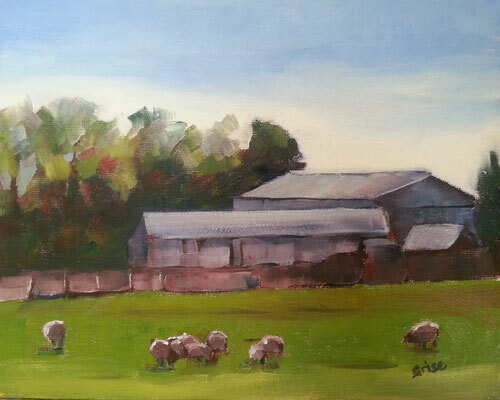 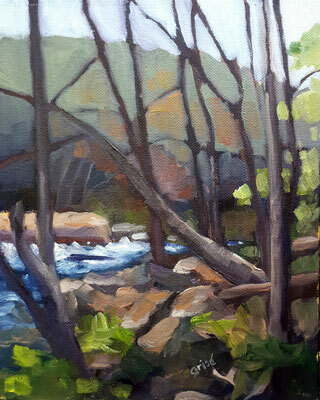 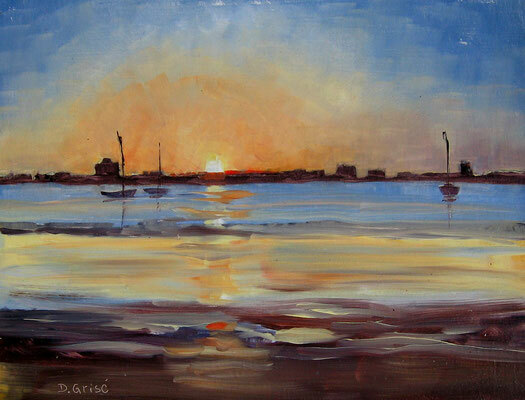 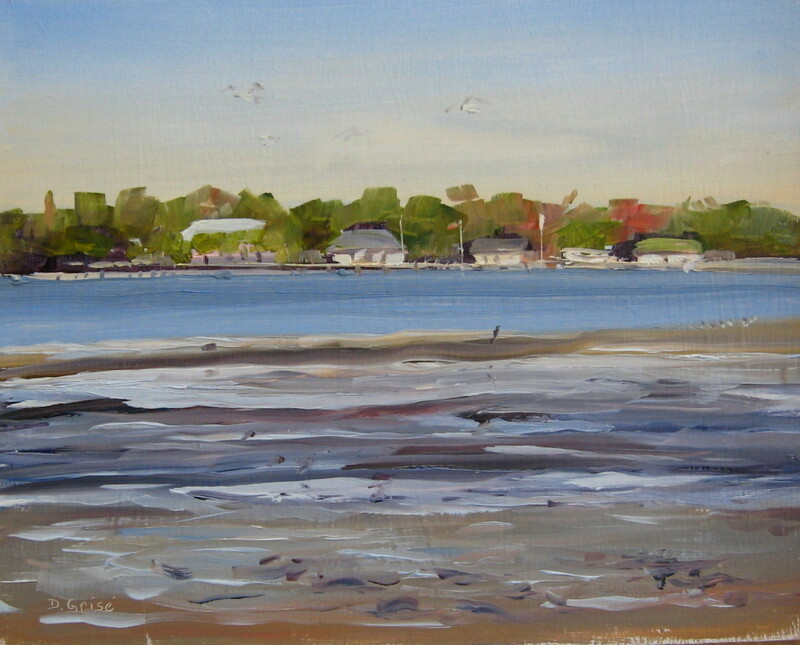 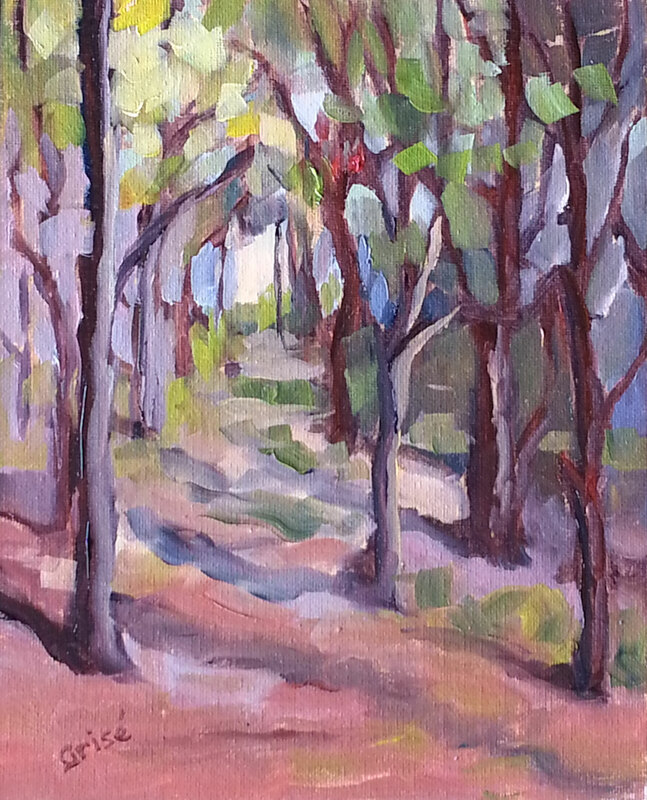 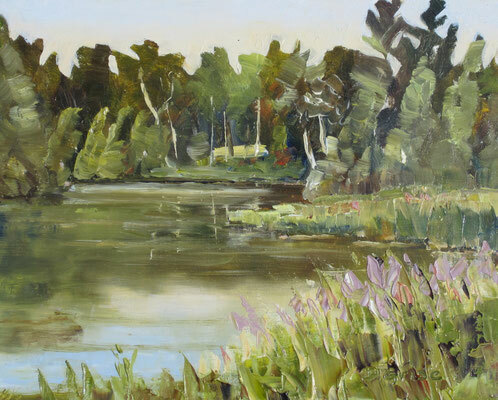 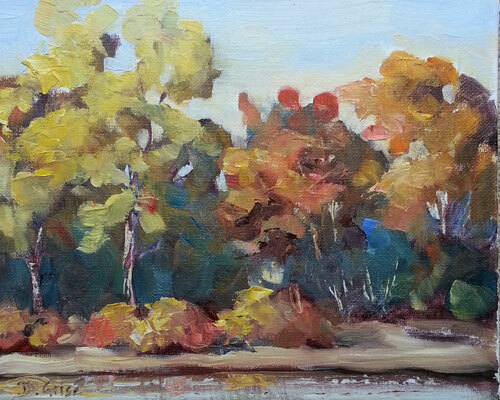 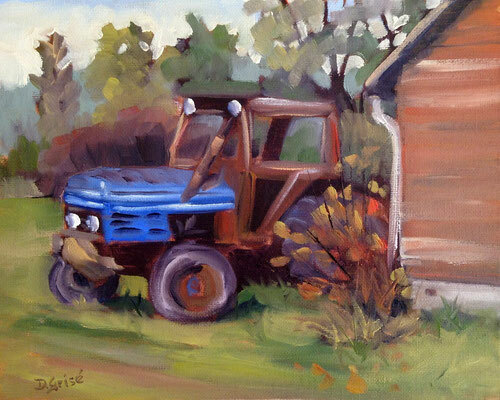 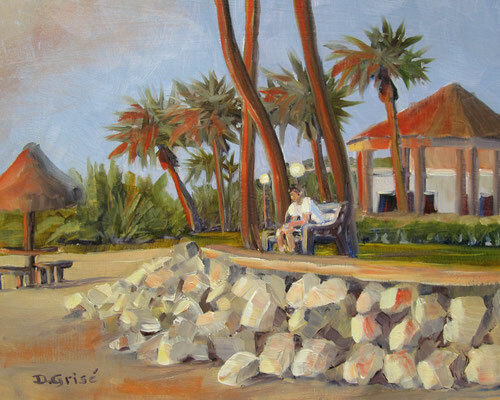 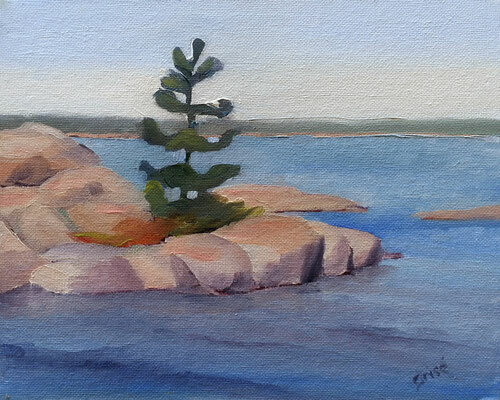 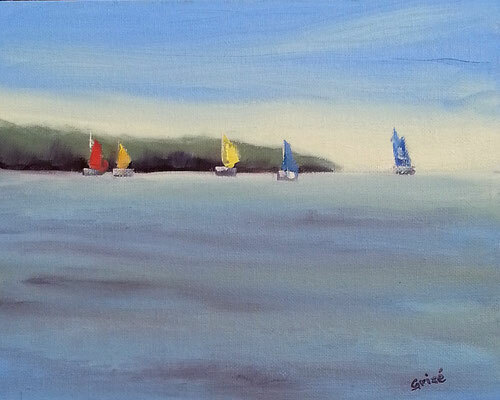 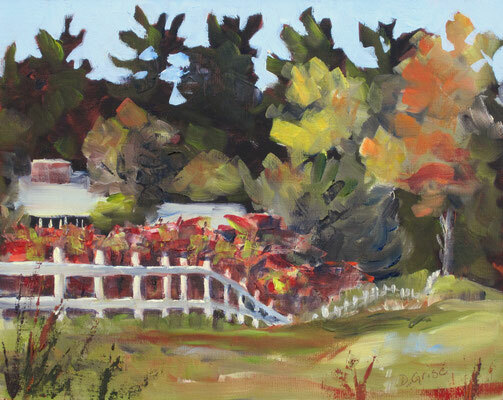 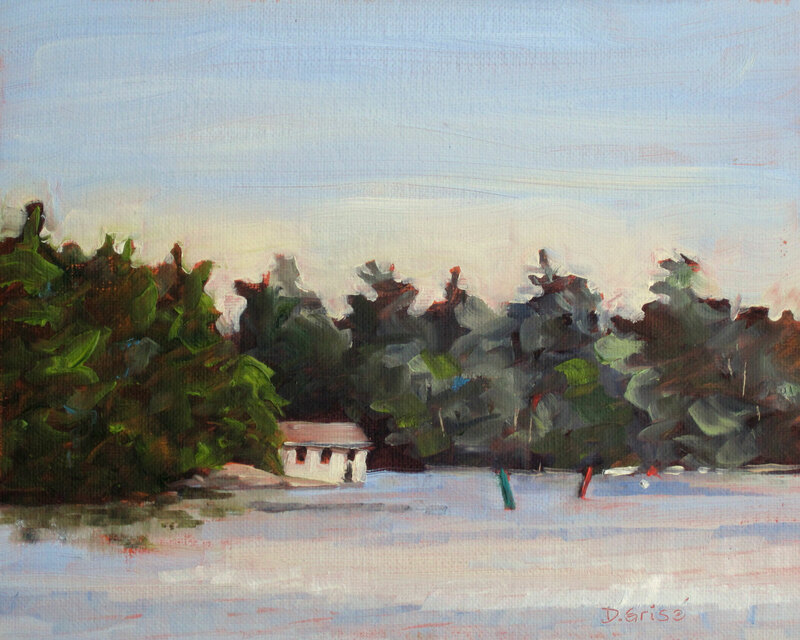 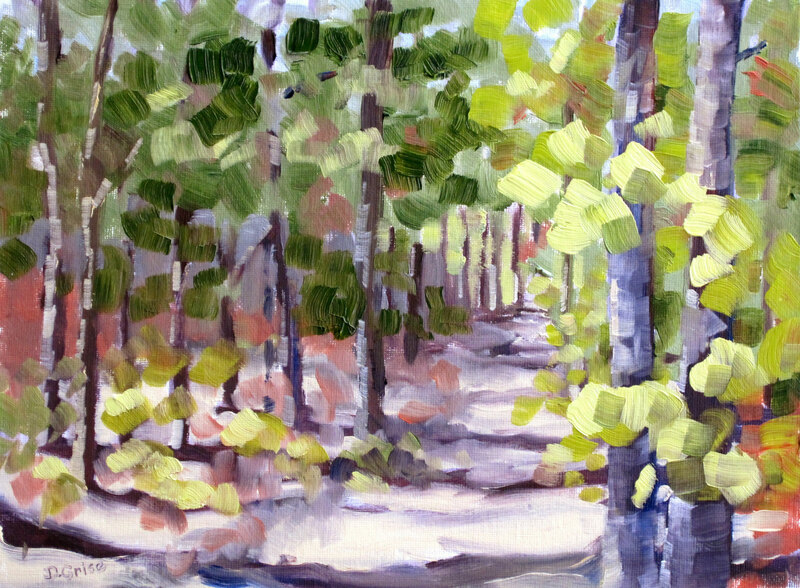 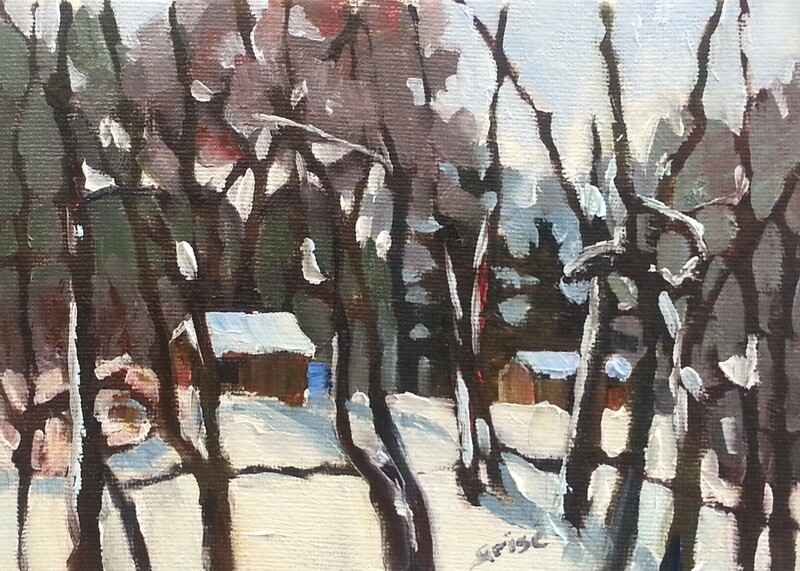 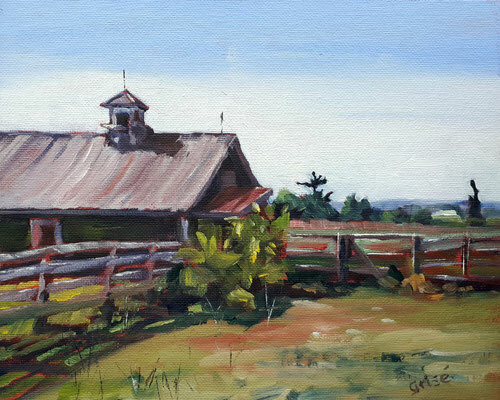 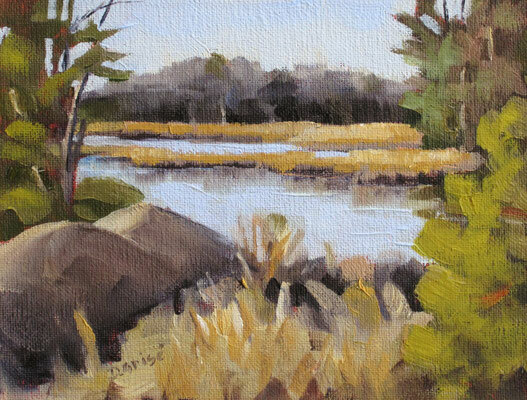 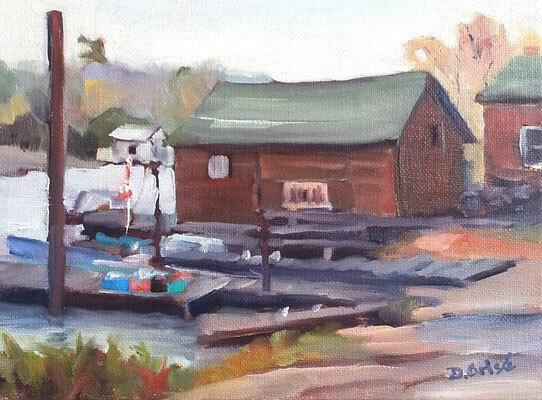 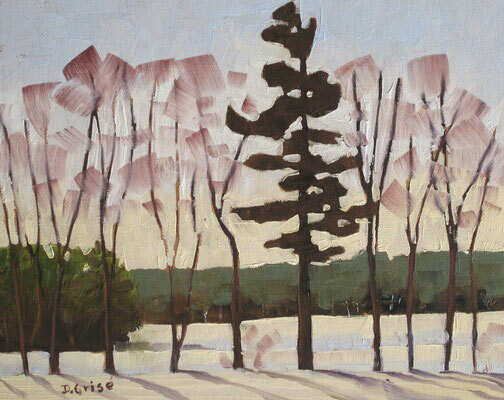 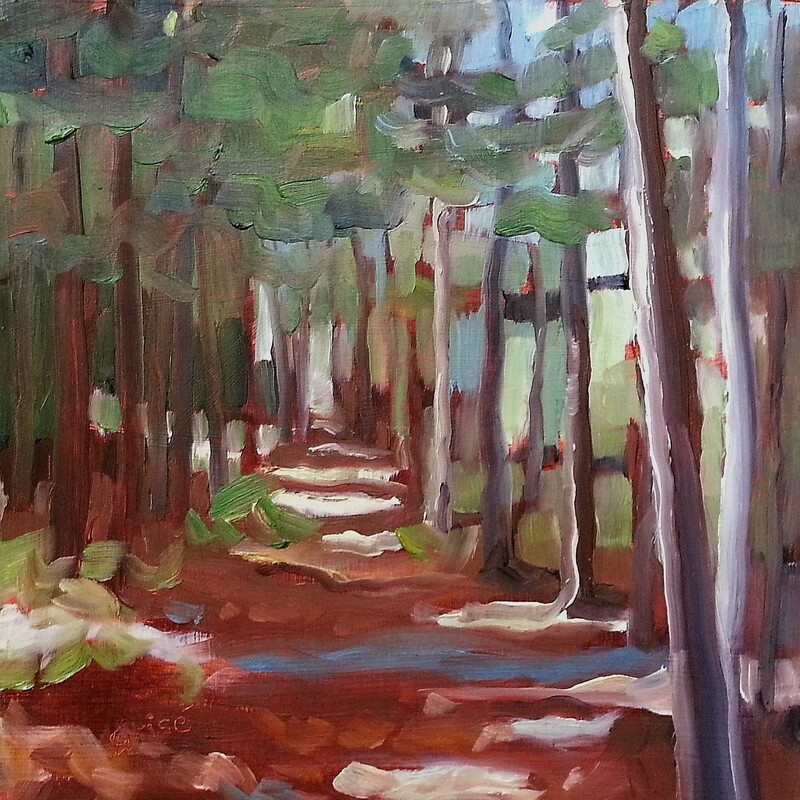 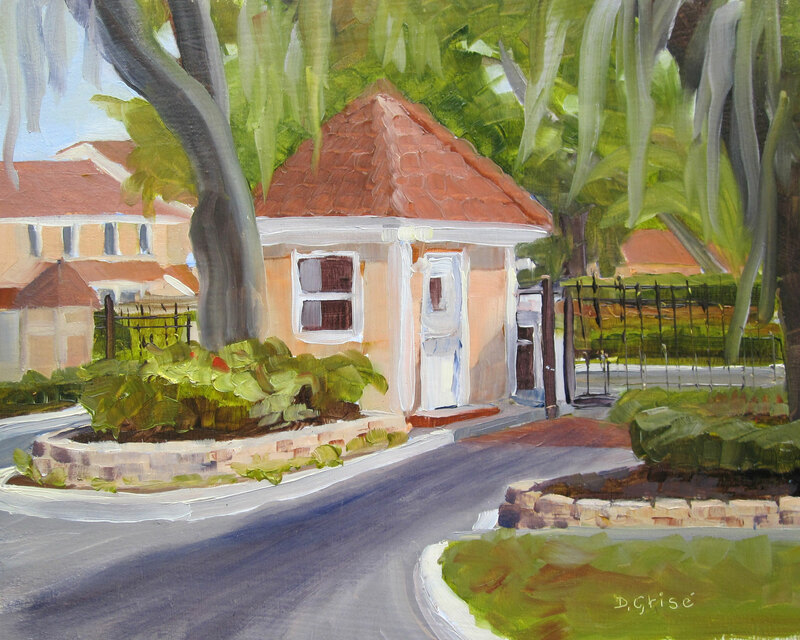 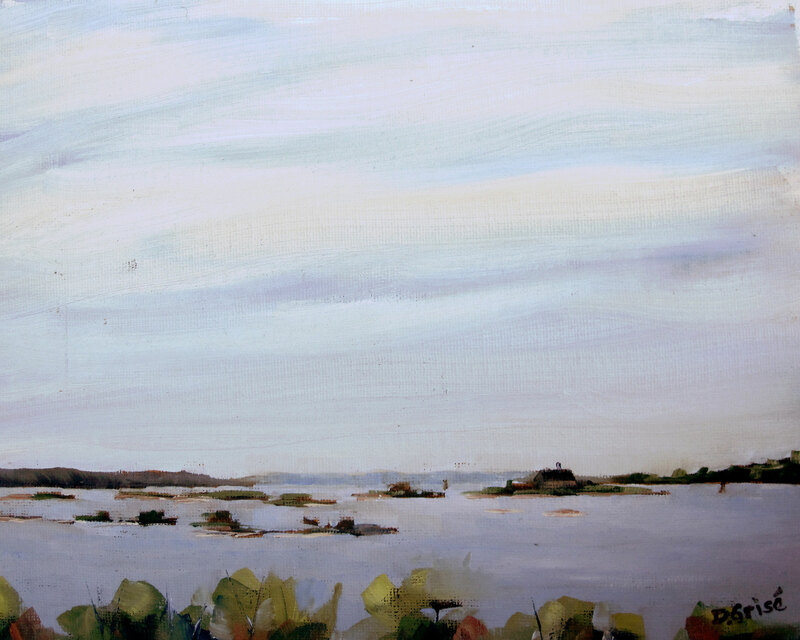 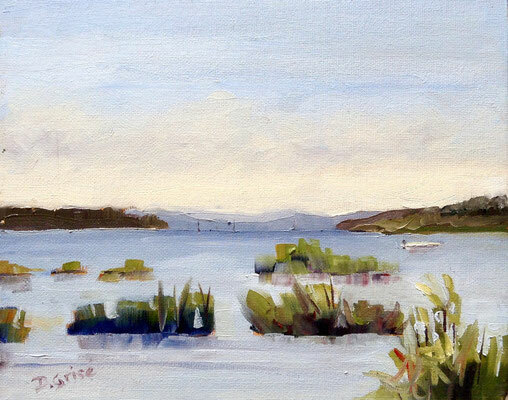 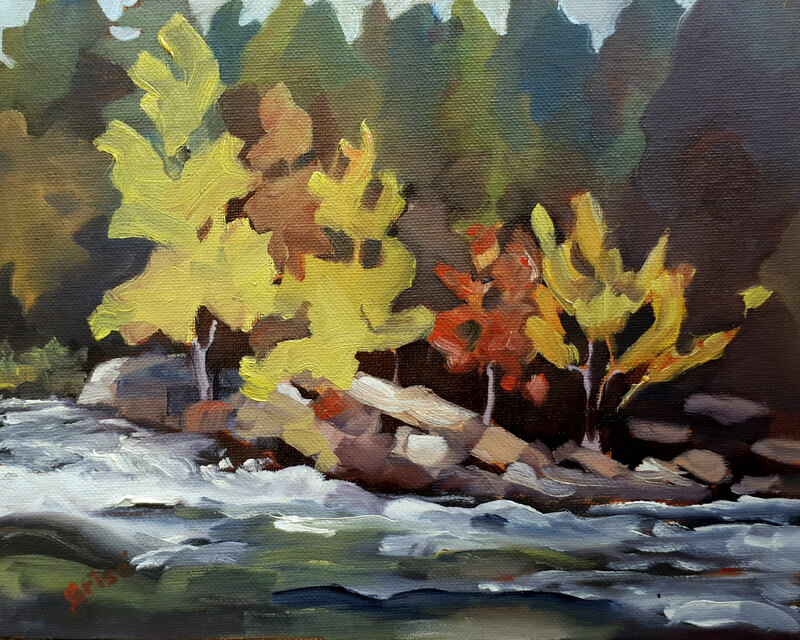 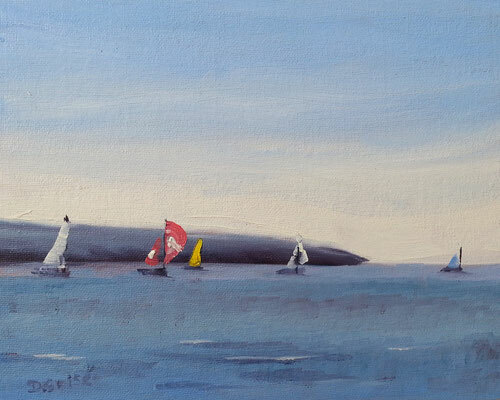 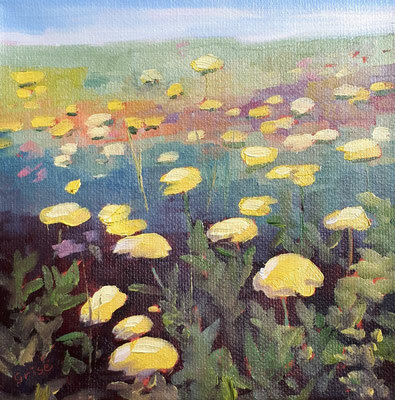 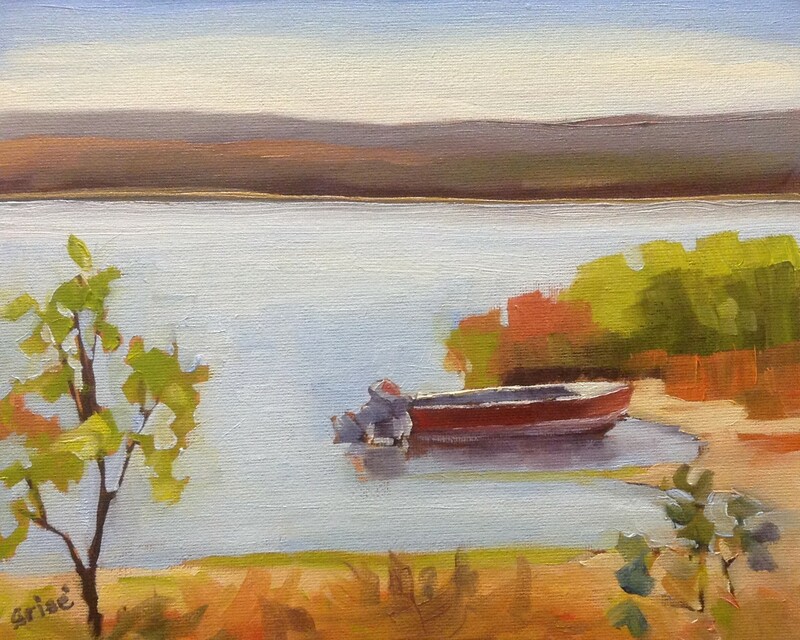 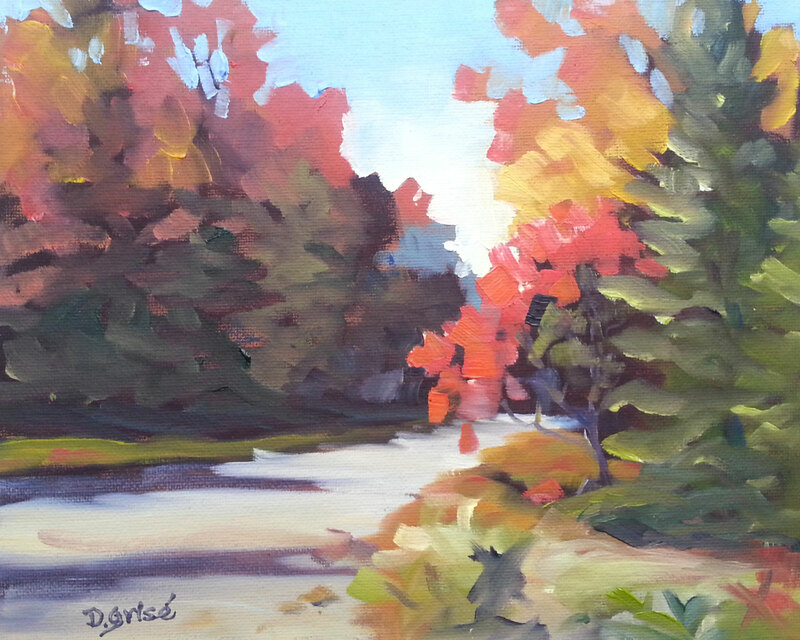 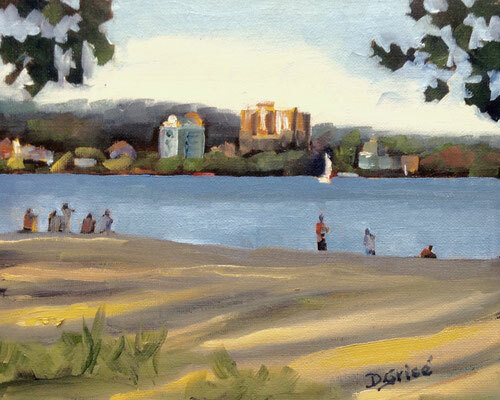 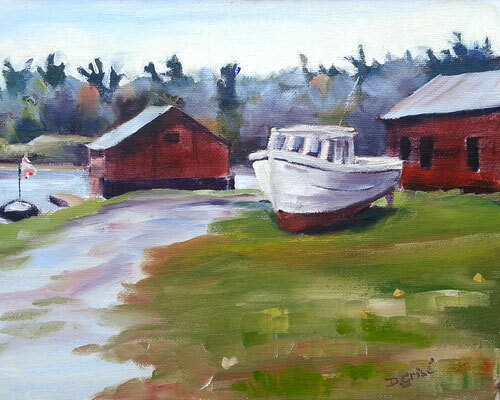 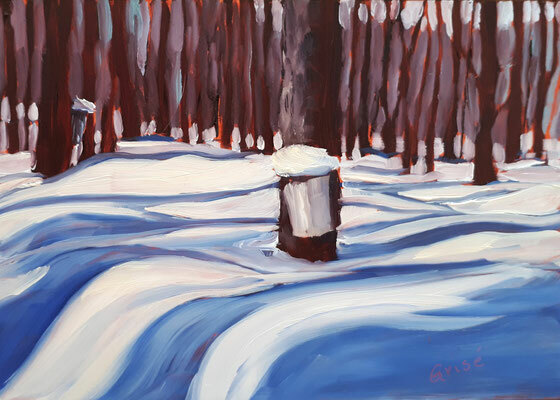 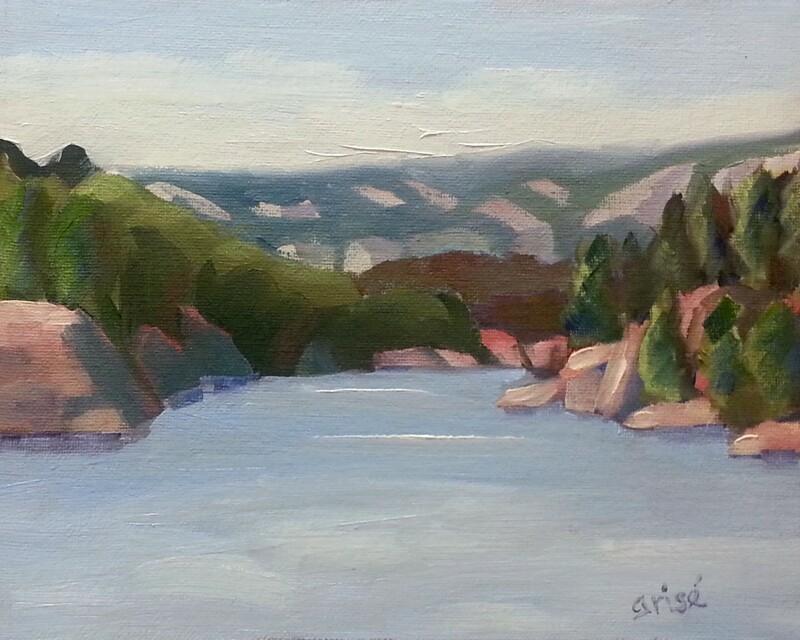 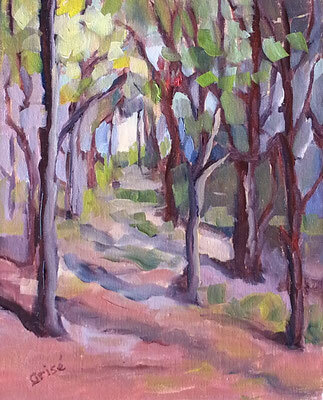 Many of my small pieces are done en plein air, on site, or you might call them field studies. Sometimes they end up being the work-up for a larger piece. When I paint outside, there is a certain urgency to work quickly. 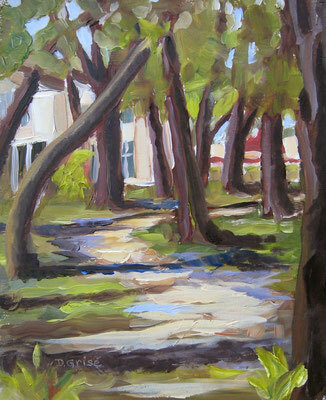 Shadows move at an amazing speed, and light changes in an instant. 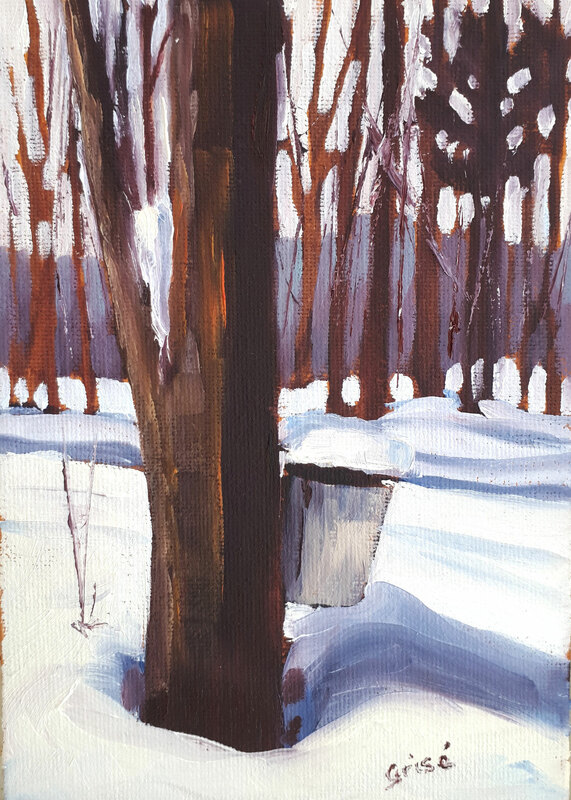 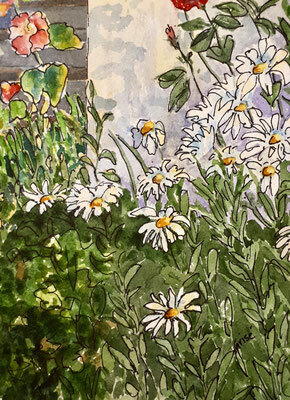 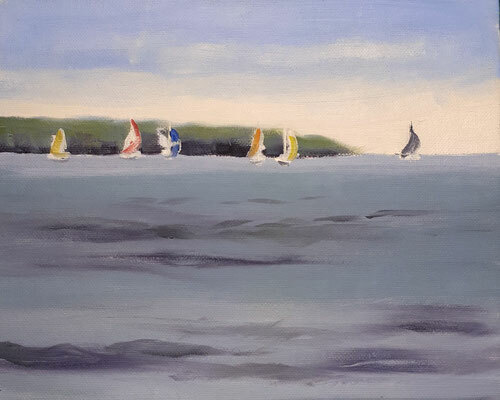 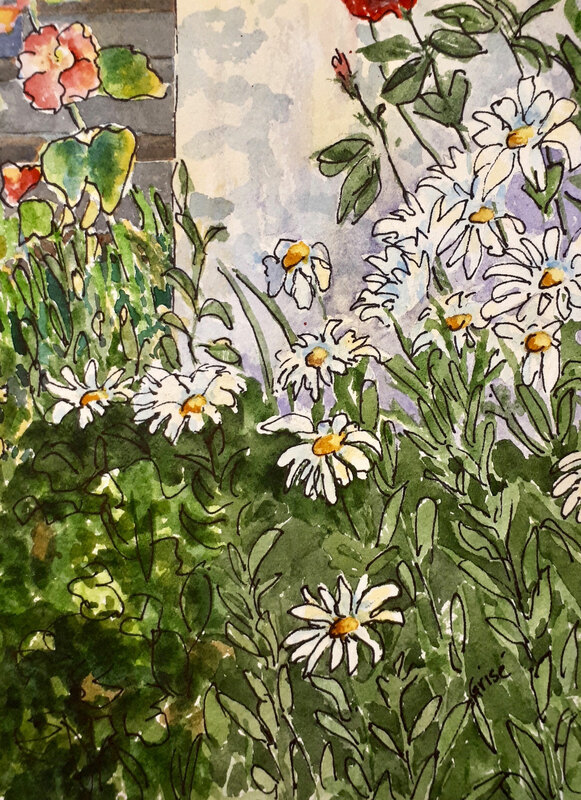 Plein air pieces tend to be loose and fresh and sometimes the environment becomes part of the painting....like bits of stuff in the air or little no-see-ums that land on the wet paint. 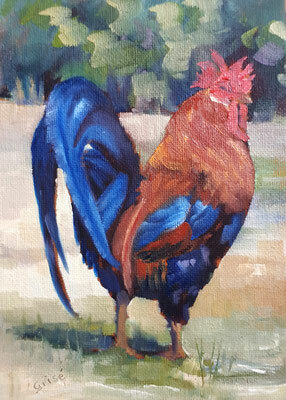 I carry tweezers with me in my kit. 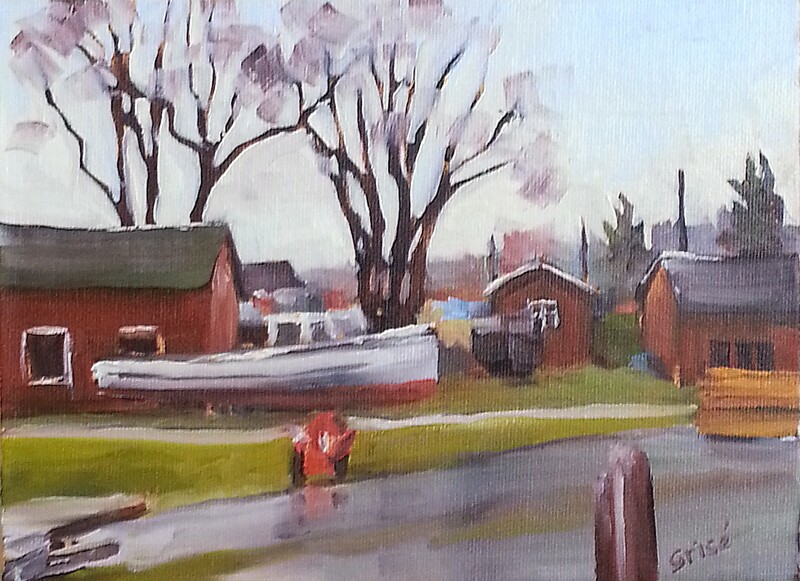 I always take lots of photos when I'm out, so that in bad weather, I will be able to work inside. Not all of these are plein air pieces. 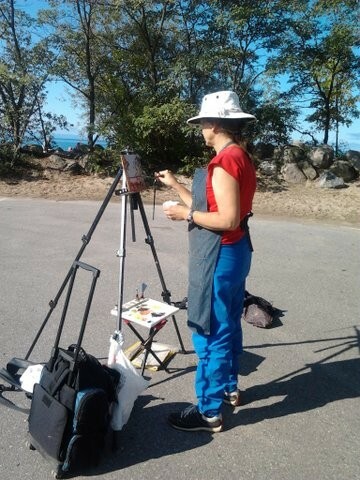 Photo: Painting Balm Beach from the parking lot. 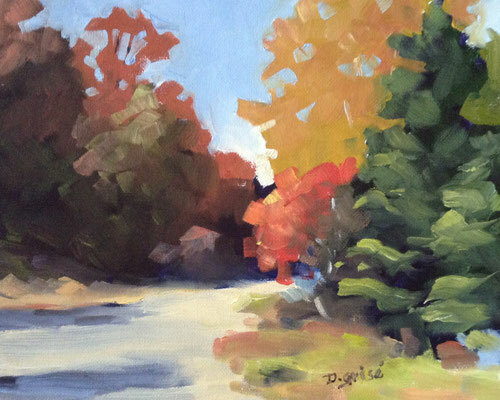 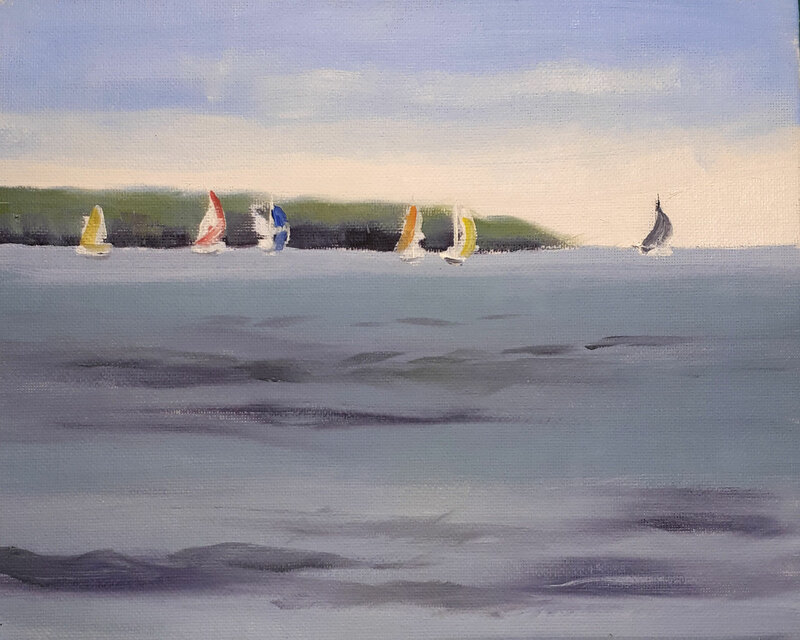 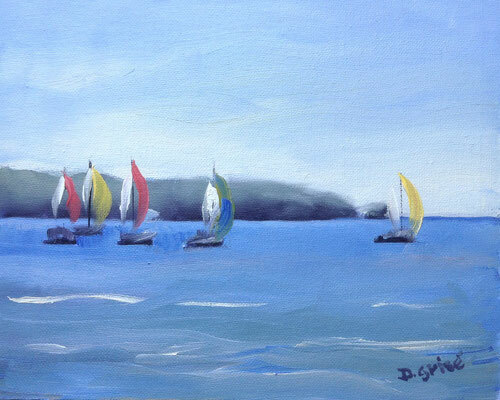 As instructor, I have done many classes over the years, resulting in a large collections of demo paintings. 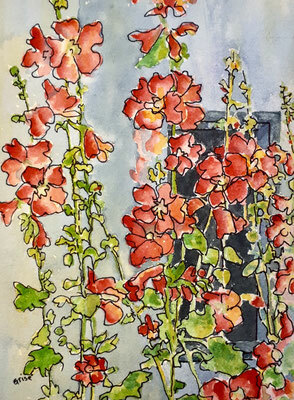 Although no two are alike, you can see that there are multiple versions of the same scene. 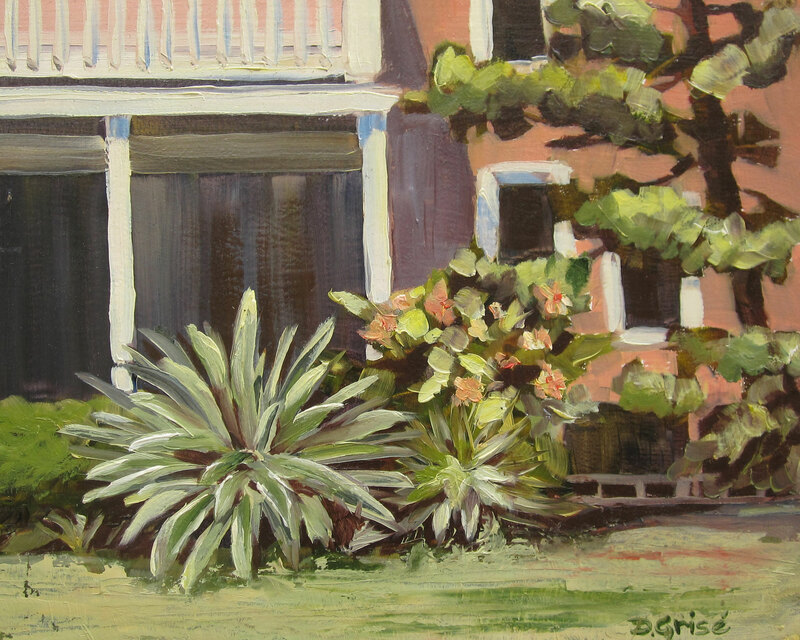 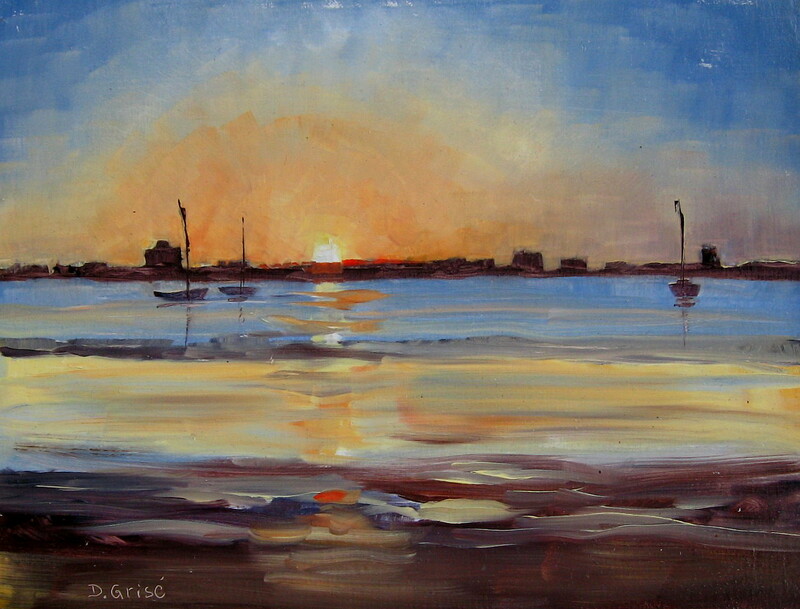 I am offering a selection of these demo paintings at a lower price, only through this website. 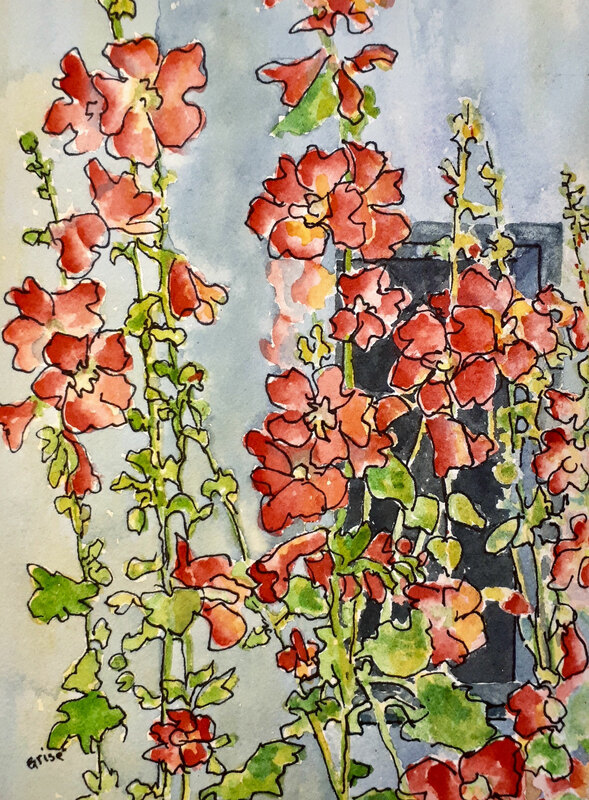 Please contact me here. 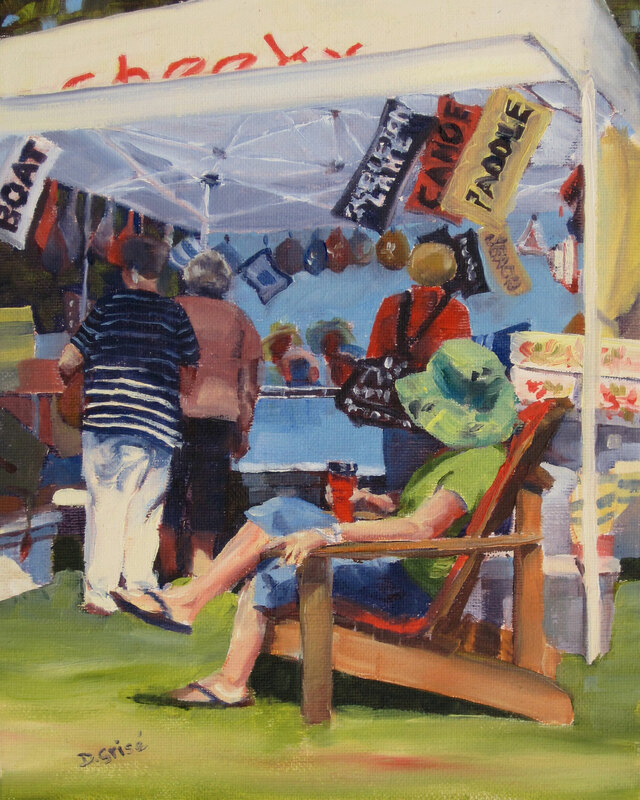 Would you like to purchase? 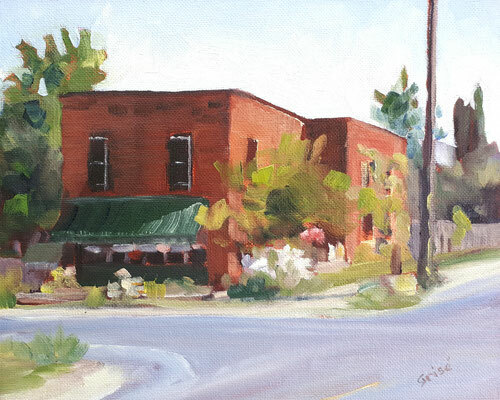 Click Here to contact me.